Owning a home or business can be such a rewarding experience, and to make the most of that experience, it is necessary to maintain that property throughout the entire year. Owning property comes with a lot of responsibilities, including protecting it from water damage, mold, fire, sewage, and other disasters. From water damage due to a burst pipe or ceiling leak to smoke restoration needed because of a fire, property damage can be tolling on your wallet and your well-being. 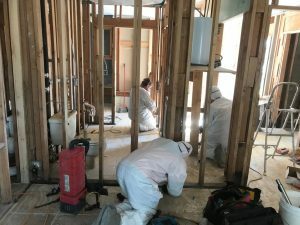 Fortunately, the technicians at 911 Restoration of San Antonio is proficient in all things involving water damage restoration and will be at your door on a moment’s notice, ready to begin work. The water damage restoration team can help local property owners deal with damage caused by any of these issues and more. Not only are our restoration services swift, but they are efficient and work with IICRC certified technicians for your protection. The San Antonio technicians guarantee to respond within 45 minutes, no matter what time you need emergency, water damage restoration services. Their office is open 24/7/365, making it possible for property owners to call virtually any time. With such a fast response time and a team of expert technicians equipped with the latest tools in the industry, the water damage professionals are here to lend their services and support you in your time of need. So, call us the moment you need the assistance of a quality, water damage company. If your commercial or residential property is in need of water removal services after a pipe burst, flood, or ceiling leak, the consequences can be devastating. Moisture can quickly creep into every crevice of your home, resulting in structural issues, water damage, and possible health risks. Whether a basement flood causes the water damage after a storm or a sewage backup due to a broken water pipe, timing means everything. 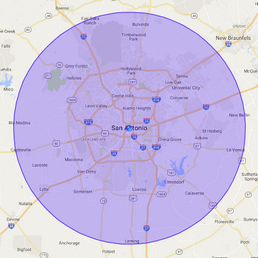 The longer you wait to call 911 Restoration of San Antonio, the more damage will be done. Within minutes, water can stain wood flooring and metal furnishings. Within hours, your soggy drywall may begin to soak up the water. And within days, mold and other microorganisms can start to flourish, resulting in the need for mold removal services. 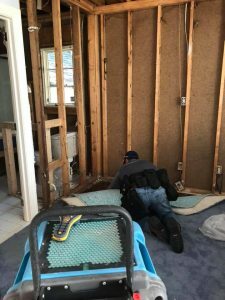 This is why it’s imperative to contact 911 Restoration of San Antonio immediately after discovering any sign of water damage in your property. Following the initial phone call, our technicians will be at your location in 45 minutes or less, ready to start water damage restoration promptly. So, call the San Antonio technicians today! Water damage not only wreaks havoc on your property and possessions but if left unchecked, the invading moisture can lead to health issues too. Stagnant water that has crept into the crevices of your home or business can become a breeding ground for mold. When mold spores are inhaled on a regular basis, they can lead to upper respiratory infections, asthma and allergy symptoms. Along with affecting your health, mold can impact your property when mold removal services aren’t implemented quickly. Mold eats away at the organic materials found in most properties, such as wood, cardboard, paper, and natural fibers. The mold removal team will provide a free visual inspection for property owners, allowing them to determine the extent of the mold infestation fully. If the mold removal professionals find mold growth in your home or business, they will immediately create a plan to decontaminate the area thoroughly. 911 Restoration of San Antonia wants you to breathe easy again knowing that you are out of harm’s way. So, if you think your building requires mold removal services, do not hesitate to call the mold removal experts right away. As a comprehensive water damage restoration company, 911 Restoration also specializes in fire damage restoration. If a fire has impacted your property, the cleanup process can be long and harrowing, but the San Antonio fire cleanup crew can turn the entire experience into a fresh start. Smoke removal is needed to get rid of unsightly stains and odors. Fire damage restoration services are needed right away to preserve the integrity of your property and to ease your worries. Our fire damage restoration team has years of experience when it comes to fire damage restoration. They are licensed, insured, and bonded professionals who will help walk you through every aspect of the residential or commercial fire damage restoration process. With decades of experience, the fire damage restoration team has seen the effects property damage can have on business or homeowners. Seeing your possessions damaged can be an extremely emotional time, and this is why we are committed to putting you at the center of our attention. From handling your insurance claim to getting rid of all smoke and soot, 911 Restoration of San Antonio is here when you need us the most. Our fresh start approach helps us to help you see the silver lining during this traumatic time, so give us a call today! Commercial property owners in San Antonio can trust in the expertise of 911 Restoration because the commercial restoration team has proven to be able to handle everything from fires to flooding. The commercial restoration company works with only the best repair workers in the industry, ensuring that you have peace of mind when you hire our highly trained technicians to implement water damage restoration, mold removal, or fire damage restoration. These commercial restoration professionals enable 911 Restoration of San Antonio to provide efficient water and mold removal services to get your business up and running again in no time. The commercial restoration team understands that if you have to close your business due to a pipe burst, leaking wall, or mold infestation, then you may lose money that your insurance won’t be able to cover adequately. The commercial restoration experts help get your doors open again by working tirelessly until you can resume business as usual. Customers can feel confident in the fact that we have the expertise and equipment to handle any sized job. So, if your commercial property is in need of water damage or fire damage restoration, you can trust in the commercial restoration unit to restore your building and give you the fresh start you deserve. When sewage invades your property, it should be considered an emergency. Sewage spills are not only disgusting, but they can be dangerous to both your property and your health. Sewage, also known as black water, contains harmful bacteria and biohazards that may cause significant health problems for anyone exposed to it. For this reason, you should never attempt to clean up raw sewage on your own. If you’ve experienced a sewer pipe leak or have standing waste water in your home or business, an immediate response is vital in mitigating water damage and preventing mold growth, as well as in stopping the spreading of bacteria. Our sewage cleanup contractors have the knowledge and equipment to extract water safely and sufficiently fully. They will also get rid of any lingering odor, leaving the property smelling fresh and clean. If your property is in need of immediate sewage cleanup, it is a job best left to the professionals. Call 911 Restoration of San Antonio, and we’ll dispatch a sewage extraction crew immediately. Disaster can strike anywhere, and at any time. From severe storms and fires to rampant mold infestations and sewage spills, both natural and man-made disasters can cause major damage on your property. The water damage restoration crew will provide services that deal with floods, leaks, mold removal, and fire damage restoration, making us the only company you will need to hire for all of your restoration needs. On top of providing around the clock water damage restoration, the staff at the San Antonio office will even assist you with your insurance policy. They will help you understand exactly what services are covered and will also file your entire claim for you. Making the recovery process as easy as possible is our job, so when you hire the water damage restoration team, you can feel entirely sure that from the moment the technicians arrive they will handle everything. If you have been the victim of a flood or fire, you need a caring and committed team that is passionate about your wellbeing. 911 Restoration of San Antonio is that company, so give the experts a call today for prompt, effective, and empathetic disaster restoration services.